Signs of ageing are visible which is what bothers many people. If you want to remove all visible ageing signs from your skin, then you have a variety of options available. You can use products or choose more advanced treatments such as the PRP Skin Rejuvenation Treatment by Kaya. Ageing is one of those phenomena that no one can escape from. While some age gracefully, others want to retain their youth for as long as they can. And there is nothing wrong with that. You want to look good and there are treatments out there that can help you achieve that easily. Ageing is treatable and can be prevented as well. It doesn’t matter what type of skin ageing problem you are suffering from. There are skin tightening products and treatments that can help you achieve that youthful look you want. Ageing affects the texture of your skin, your skin tone, and your skin color. The loss of hyaluronic acid and decrease in collagen cause sagging skin. This makes you appear much older than your actual age and makes your skin look really dull with all the sheen gone. However, that is not the final stage. You can actually rejuvenate cells so that stimulation of collagen in skin is accomplished. Kaya’s PRP Skin Rejuvenation Treatment helps you do that. PRP stands for Platelet Rich Plasma. This concentrated plasma contains up to 5 times more platelets compared to the blood in your other parts of the body. The other important aspect of PRP is that it contains bioactive proteins, which are very important for skin health maintenance. These include Vascular Endothelial Factor (VEGF), Platelet Derived Growth Factor (PDGF), and Transforming Growth Factor (TGF). PRP is used for collagen stimulation. 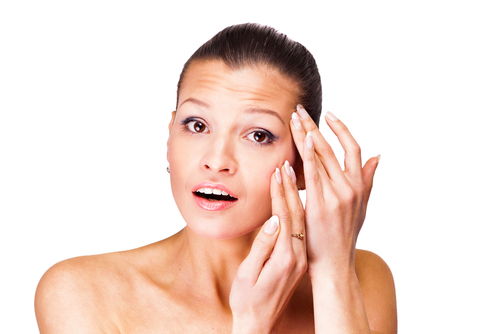 The process of PRP Skin Rejuvenation Treatment for skin tightening is as follows. First, some blood is taken from your body; a maximum of 30 ml of blood. Then the PRP is detected and removed from your blood. The PRP is then activated. Once the PRP has been activated, it is injected directly into your skin wherever required. The targeted area can be any part of your body. The entire procedure takes only up to half an hour and it is completely safe. PRP is always performed with your blood only. Hence, there is no chance of anything going wrong during the procedure. Many people fear their body not accepting it, but that can never be the case. PRP is entirely different from fillers and so the two should not be confused. There is no chance of any infection happening either as your own blood is used for the PRP treatment procedure. You do not have to dedicate a lot of time to the procedure. It is a comparatively easy and quick procedure for reducing anti-ageing sings like age spots. You may have to go for a few sessions of treatments in order to enjoy optimal results from the treatment. However, this depends on the individual and the type of skin they have. The procedure results are visible for about two years. The PRP treatment mimics the process that occurs when you are hurt. When healing of your wound is taking place, your body begins to make the appearance of your skin normal again. This is what happens in PRP. The skin’s appearance is enhanced. Visible pores are reduced drastically and your skin becomes better. You will notice the softness of your skin improve along with the elasticity of your skin too. The benefit of PRP treatment is that you will be able to visibly see lesser crow feet wrinkles/ fine lines and your skin will become healthier from the inside. This will show, as your skin will be softer, clearer and firmer. Your skin will look natural and there will be no more dull and dry skin. As the treatment is non-invasive, it works for every skin type. Anti-ageing treatment offered by kaya Clinic works for anyone who wants to reverse the effects of ageing. Start looking stunning from today.